George Zimmermann disobeys the suggestion (not order) of the dispatcher ("we don’t need you to follow") and continues following Trayvon. Minutes later Zimmermann tracks down Martin exactly where Zimmermann started out a few minutes earlier. 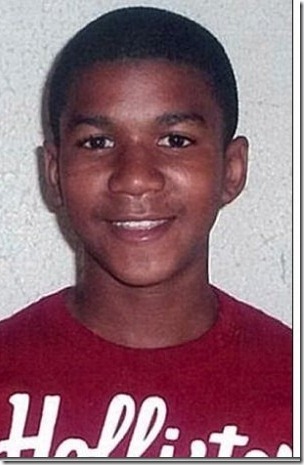 Trayvon Martin was going in circles when followed. Zimmermann shoots him point blank. (it has been determined that the shot came from close by). If you have a gun, you would be safer shooting from a distance, but Zimmermann planned his murderous act to look like self defense. Immediately, George Zimmermann threw himself on the ground, rubs his back on the wet grass, bangs the back of his head onto concrete slabs and punches himself in the eyes and breaks his own nose. He does so carefully, not to injure his own hands. Thus Zimmermann has a witness that he committed normal self defense. No need to insist on stand your ground law if you are pinned to the ground getting slammed against concrete. To be fair, there is an alternate possibility. Zimmermann was beaten up, with Trayvon Martin mounted on Zimmermann. 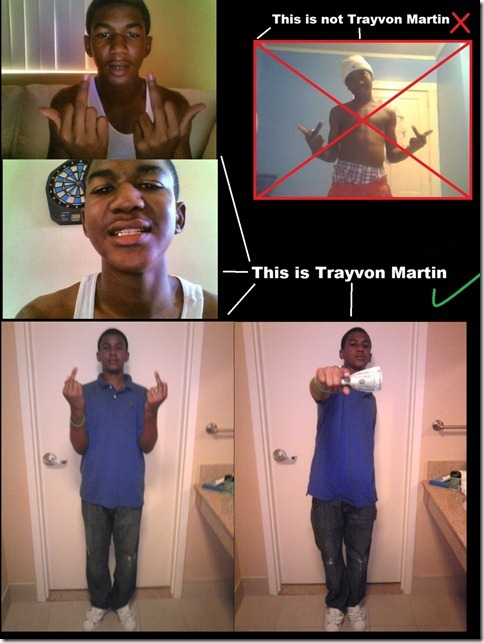 Somehow Zimmermann managed to escape, Once no more on top, Trayvon suddenly became peaceful. Zimmermann shot him point blank, as a racist revenge. Had Trayvon continued to attack when standing, Zimmermann could have invoked "stand your ground" (except, of course, that he had started the altercation). The alternative theory is pretty unlikely. Zimmermann could re-enact this travesty, without being caught at any inconsistency? I give them credit for trying hard. In their theory, Trayvon ought to have a wet back with grass marks. I don’t think that was the case. It also does not explain Zimmermann’s wet back. Furthermore, Zimmermann has to be very whacko to call police before hunting down and shooting a guy. We will post more alternative theories in the next days.